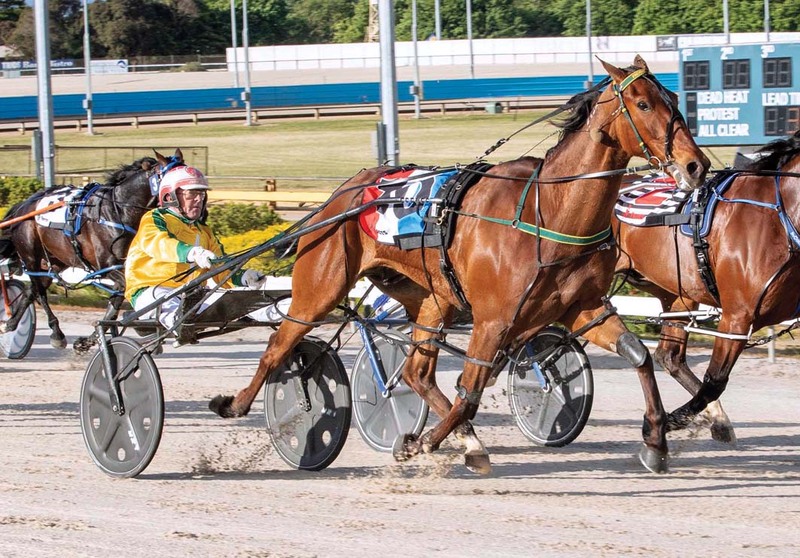 A STEP up in grade and an awkward draw will work against exciting pacer Phoenix Prince at Tabcorp Park Melton on Saturday night. Unbeaten from three starts this season, the Australian Pacing Gold purchase is engaged in the Four and Five-Year-Old Championship for trainer Emma Stewart. Along with tackling a strong field of talented, more experienced rivals, Phoenix Prince has drawn the outside of the front row. Despite the obstacles Stewart believes the son of Somebeachsomewhere can extend his impeccable tally which sits at seven wins from eight starts. “I have a big opinion of this horse and have no doubt he can go through the grades,” Stewart said. “This is a step up for him though so we will have to wait and see how he handles it given his inexperience. “The draw is also terrible which makes it a lot harder for him. Citing Wrappers Delight and Diamonds N Cash as the pair to beat, Stewart also rates Warden Express as one to watch. Diamonds N Cash has fared best in gate two, with Warden Express – which is unbeaten from four starts this term – to come from three. A multiple feature race winner, Wrappers Delight has drawn the middle of the second row. “Wrappers Delight hasn’t drawn the best, but is the one to beat along with Diamonds N Cash,” Stewart said.